Sun Automation is a leading solutions provider for world-class manufacturers of industrial automation products serving the Arizona, New Mexico and Southern Nevada region. We continuously strive to enhance our ability to deliver well-conceived solutions, which enables our customers to improve their productivity and competitiveness, as well as the quality of their products. Our entire team represent our manufacturers' products with integrity by providing an outstanding level of customer service and satisfaction through a dedication to total quality and effective communications. It is through this combination of providing the latest in automation technologies and our commitment to satisfaction - Where Service and Automation Come Together. Working out of David's house and carrying just the Numatics product line they worked doggedly to grow their business. By 1995 they moved the operation to their first 'real' location, a 2,000 square foot office in Tempe AZ. 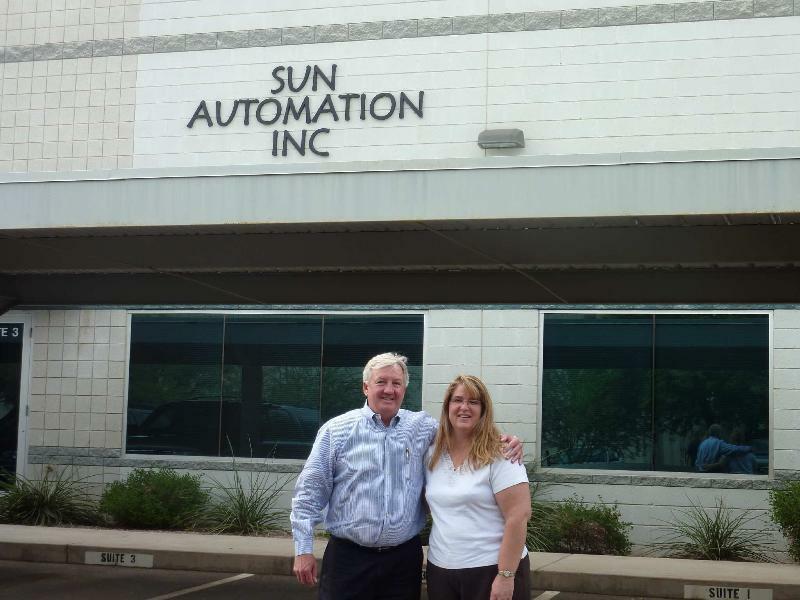 Today Sun Automation employs 10 full time employees out of their current location in Chandler AZ. They now offer a full range of complimentary product lines covering; pneumatics, automation, safety, sensors, motion and robotics. For 20 years Sun Automation has been serving the automation needs of the Arizona, New Mexico and Southern Nevada territory.